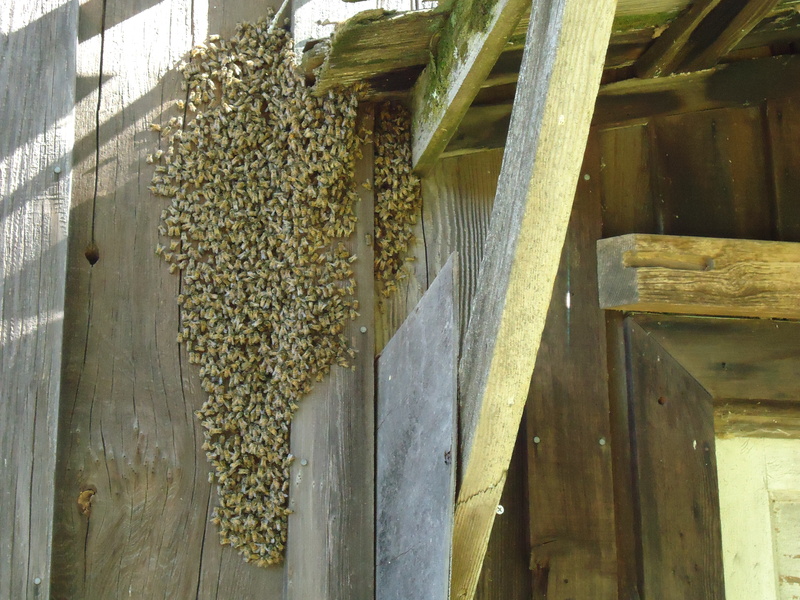 In honor of Earth Day, here are some of the wild bees on our ranch. This entry was posted in authors, California Writers Club, Dog Leader Mysteries, farming, ghosts, Kids' stories, Sonoma County, Writers, writing and tagged bees, Earth Day. Bookmark the permalink. Oh, I love this photo. I adore bees. Thanks, Deborah! Alas, they flew off to a new home. Just have some stragglers left who stayed with the new queen. There will be more later. Good, I love the phrase “more later,” so does my dog, Sydney.